There is little doubt that, in the UK, investment in property has a unique physical appeal that cannot be matched by investing in the stock market and ISAs. The private rental sector has more than doubled since 2001 and this trend is predicted to continue with more than half of 20-39 year olds expected to be renting privately by 2025. Into this breach has stepped a growing army of buy-to-let Landlords. Studies suggest however that more than 1 in 3 landlords do not understand their taxation obligations. With HMRC now deliberately targeting those landlords who have never declared their rental profit and the UK Government clamping down on property as an investment in an attempt to control the housing market, the need for increased awareness by buy-to-let landlords of their tax position has never been greater. This landlord tax guide is designed for both those taking their first steps on the path towards becoming a landlord and those looking for guidance in managing their portfolio. Whether you're an accidental landlord who has inherited a property, purchased a new investment property or even let your previous home to tenants, you must consider your tax implications and understand how these are reported. And we’ll finally cover, in this landlord tax guide, Corporation Tax – using a limited company to lower your buy-to-let tax bill. There are some exceptions, such as if your property costs less than £40,000. Otherwise that’s a hefty chunk out of your purchasing budget. Stamp Duty isn’t a deductible expense against your rental profit. It can however be utilised when you sell the property to reduce your capital gains tax liability (more later). And the good news is that stamp duty is a one-off tax. That means if you decide to rent out your home - because you're moving in with your partner or it just won’t sell, you won't have to pay it again as a buy-to-let landlord on that property. No matter what anyone might tell you, any income you receive from renting your property is taxable and must be declared to HMRC. This is usually done via a Self Assessment tax return. You are obliged to inform HM Revenue and Customs (HMRC) as soon as you start letting a property, even if you think that you’re not making a profit. For most of us, being a landlord is not a full-time job. The profit from your rental income is added to all other sources of income, and that total determines which tax band you fall in to - 20% for basic rate taxpayers, 40% for higher rate, and 45% for additional rate. It’s also worth noting that if you live in Scotland, you may pay a slightly different rate of tax to the rest of the UK. Other claimable expenses include Landlord Insurance, expenses related to landlord regulations, including Gas Safety Certificates/checks, EPC’s, Smoke & Carbon Monoxide Alarms etc., landlord and accounting software, tools and materials required to assist with maintenance & repairs and the repairing or replacement of furniture and white goods. personal expenses - you can’t claim for any expense that wasn’t incurred solely for your rental business; for example, if you buy a vacuum cleaner for your home and use it on a property occasionally, this would not be an allowable expense. You may by now have noticed that interest on mortgages wasn’t included in the list of allowable expenses. Since the 2017-18 financial year, landlords have been unable to offset the interest from any loan, including mortgages, overdrafts and loans to buy furnishings. This relief is being replaced by a standard 20% tax credit. This restriction only affects those landlords paying higher (40%) or additional (45%) rate tax. These landlords could previously claim tax relief at their highest rate, but the Budget changes mean that tax relief will only be reclaimed at the basic rate (20%), whatever rate of tax the landlord pays. Of course, this change will mostly affect landlords with large mortgage debt but if you pay at 40% or 45%, you'll be losing out. If you're a landlord who only pays basic rate tax, this change may not affect you immediately though, if you are close to the higher rate tax threshold, the full rental income will be added to your other income, meaning you may become a higher-rate tax payer as a consequence. Another change from April 2016 was the removal of the "wear and tear" allowance. Previously, a landlord could claim 10% of their rent as tax relief for wear and tear, even when there was little or no expenditure, on furnished properties. This allowance has been replaced by a relief that only allows landlords to claim tax relief when they replace furnishings. This relief applies to landlords of all unfurnished, part-furnished and fully furnished properties and includes movable furniture or furnishings, such as beds or suites, white goods, carpets and floor-coverings, etc. Note that this applies to replacement furniture only, not to initially furnishing a property before letting. If you're at all unsure, a property tax adviser taxkings.co.uk can help you to make the most of your allowable expenses so that you don't pay more tax than you have to, while still keeping you on the right side of HMRC. Landlords are liable to pay Capital Gains Tax (CGT) when they sell a property that’s increased in value. Working out the gain you've made on the property is reasonably straightforward. You deduct the price you bought the property for from the total you’ve sold it for. You can deduct costs such as agents' or solicitors' fees and the costs of improvements. Capital gains tax is then payable on the profit. It isn't payable if you make a loss. You get an annual tax-free allowance of capital gains that you can make each tax year before CGT is charged. You then only pay CGT on your overall gain above your tax-free allowance (called the Annual Exempt Amount). This is 11,700 for 2018-19. If you own the property jointly, you each benefit from this allowance. If you've sold a buy-to-let property, you'll need to declare this on your Self-Assessment tax return. Capital gains tax is charged at 18% or 28% of the profit (depending on your taxable income and total capital gains you've made over the year). If you've made a loss on a buy-to-let property sold in a previous year, you may be able to use this loss to reduce your capital gains bill. Similarly, you are able to deduct some expenses you've incurred in buying, selling or improving the property such as solicitor's fees, estate agent's fees and costs incurred in increasing the property's value (but not maintenance or general upkeep costs). You also receive private residence relief for any time you have lived in the property as your main home. If you qualify for Private Residence Relief and have a chargeable gain, you may also qualify for Letting Relief. Lettings relief increases the amount of the gain that is sheltered from CGT. This means you'll pay less or no tax. This can be a very valuable relief for private landlords. Inheritance tax is a tax on everything you leave in your estate when you die. While we may not wish to think about it, your buy-to-let properties (or property) form part of that estate for inheritance tax purposes and you may wish to consider an Inheritance Tax planning strategy to lower the tax liability for your loved ones. You may need to pay inheritance tax on buy-to-let properties if the total value of your estate exceeds £325,000 (or up to £650,000 for married couples or civil partners). Inheritance tax is charged at 40% on everything above this threshold (other than on estates passing to the spouse or civil partner, which are exempt). You may qualify for Business Relief if your buy-to-let portfolio was run as a business. This will depend on a number of factors. A good tax accountant (http://taxkings.co.uk) can discuss this with you and may be able to help you reduce your exposure to inheritance tax. Since limited companies are not affected by the reduction in tax relief for mortgage interest, an increasing amount of buy-to-let landlords are considering this option. It is however a very complex area of property taxation and you should always seek advice before forming a buy-to-let limited company. You will encounter Stamp Duty liability transferring the properties to a company and be taxed on the whole profit when selling a property, rather than benefiting from any Capital Gains Tax relief. There are certainly some attractions however. As mentioned, mortgage interest is regarded as a business expense and is fully deductible against rental income. The other key advantage is that compared to the 40% or 45% that buy-to-let landlords must pay on their property earnings, companies pay corporation tax at a flat rate of 19%, which is set to reduce to 18% in 2020. It's not quite that simple of course. 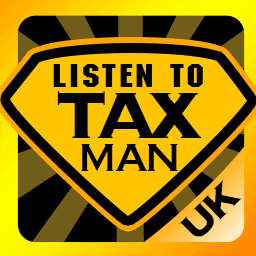 Company owners will know that you need to pay tax to access the funds in your limited company. For example, if you withdraw your earnings as a dividend, only the first £2,000 is free of personal tax and a charge of either 7.5% for basic rate taxpayers, 32.5% for higher rate taxpayers or 38.1% for additional rate tax payers is owed by the individual, in addition to corporation tax. If you took the earnings as a salary instead, your limited company would have to operate PAYE and include national insurance contributions which will actually work out more expensive than taking the money as dividends. If however you are content to leave the profits within the company to buy the next property then this model of ownership could potentially make a huge difference to the amount of tax you pay over your lifetime. And even beyond as property held within a company gives more options when it comes to planning for Inheritance Tax. There is no one size fits all approach and, while this landlord tax guide should always be your starting point, specialist advice is recommended to take your specific situation into account. This article was published in our Guides section on 19/05/2018.